It has been a long time since young hero Raj Tarun scored a decent hit at the box office. Even his previous movie 'Lover' ended up as a biggest disaster at the box office and the actor hasn't officially announced his next project yet. 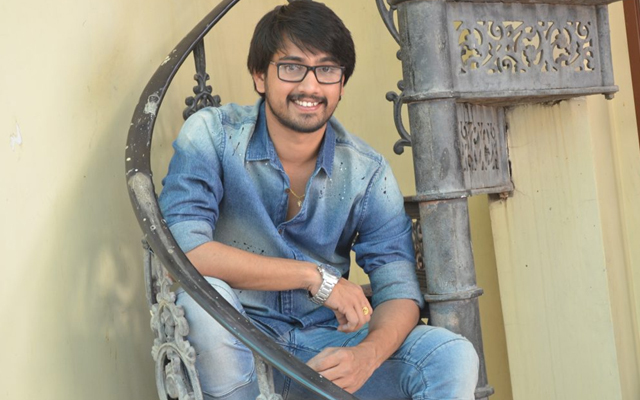 Recently, Raj Tarun participated had a chit-chat with his fans and gave answers to the tweets. When asked if he is in love and when will he get married, Raj Tarun stated that he hopefully wants to get married in next year. Though he hasn't revealed about who he is going to marry, it is evident that the hero will find a girl by the end of 2019. On the other hand, when a fan asked why doesn't he share a picture of him with Mahesh Babu, "I met him and I took a snap. But, I will not share it on social media ever. Because it is my personal and it will be with me even if I die" replied Raj Tarun. When asked about his upcoming project, Raj Tarun stated that he is still in search of a good story and wants to come back with a hit movie this time. When a fan suggested him to change his dp, the actor said that it is his favorite picture clicked by popular cinematographer Rathnavelu and he will never change it.